Mrs. Prema Sastri a short story writer, novelist and dramatist breathed her last on 13th July 2017, after a prolonged illness. She was a member of IWW since its inception. She was a brilliant story teller with a great sense of humour, and could change even a mundane incident into an amusing blog. Apart from her Degree in Economics, she had a Degree in Liberal Arts from Chatham College, Pittsburgh, Pennsylvania. Her plays were staged in New York and London. A resident of Bangalore for many years, Prema was considered among the top 100 most prominent writers in India. She is also listed in The Sahitya Academy of Writers. 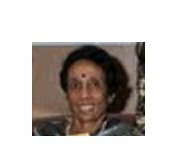 She was a member of the Indiranagar Book Club as also Inklinks, a group of writers from Bangalore, and contributed to two collections of short stories – "Bhelpuri" and "Door in the Wall" published by this group. Her two short story collections – "A Fine Gift from Lakshmi" and "Butterfly Dreams" have been widely circulated in Bangalore. Prema had also authored a short novel titled “Water on a Lotus Leaf”. She had contributed a couple of short stories, a play for children and a serial novel named “Where Peacocks fly” to this website (IWW). Prema was also a freelance trainer in Communication Skills and held workshops in schools and Management institutions. She will be greatly missed by all whose lives she has touched. May her soul rest in peace. Thank you Eva for writing this tribute to our dear friend Prema Sastri. Prema was indeed a great writer and a wonderful human being. My association with her began at the beginning of our newly formed Writers meetings initiated by Mr. Joseph Kaval, years ago, and later with Inklink group. Our writers' meetings at her place, followed by potluck lunch, will always be remembered. Her support and encouragement at the time of beginning of this website (IWW) cannot be forgotten. My most memorable moment is when Prema read the manuscript of my debut novel The Second Choice, she surprised me by offering to write a Foreword for it. Yes, Prema was a wonderful person. Her friendship and kindness will always be remembered by her friends. Thanks Eva. Indeed a great tribute to our friend Prema. I got to know Prema through Katha Lok and since then have known her. I cherish her friendship. We formed our writers group Inklinks, where she was an inspiring writer and an integral part of the group, guiding us on with her knowledge of writing. When she critic our stories it was a learning experience. She was Soft spoken and kind by nature. A well known writer whose stories were an inspiration. Her absence is going to be missed for years to come.